Any plans on publishing on Google Play? Yes, but it's still a long way to go before that. 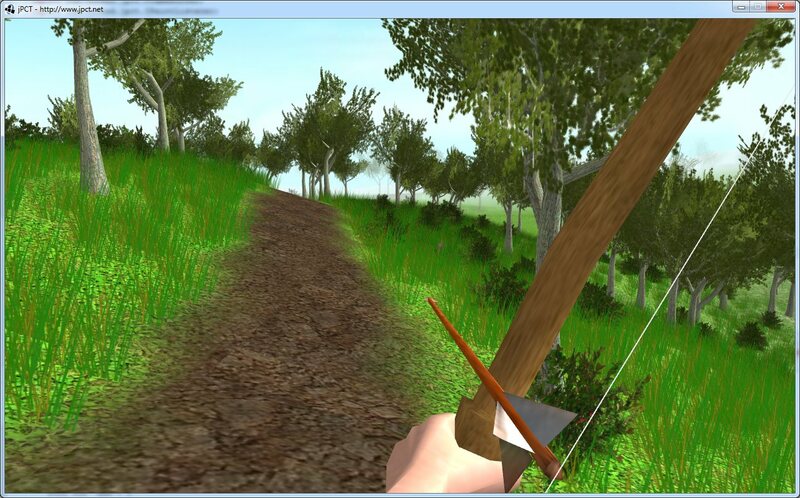 At least some basic game play should be included before i publish something somewhere. From my experience rendering grass this way is very slow. Which way do you mean? Edit: Nothing in this prototype is final btw...it's just a kind of reusable test case (which means that most of the stuff should be usable in the actual game). Nice GUI. I'm replaying Betrayal at Krondor, which I really love. 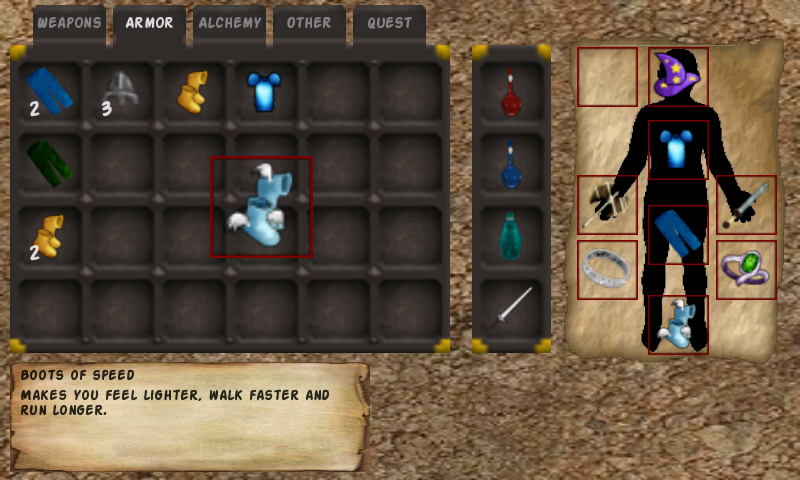 They kept it simple by not letting the player carry too many items. I feel the same about GUI. I don't like working on it, but it is really important to the game. 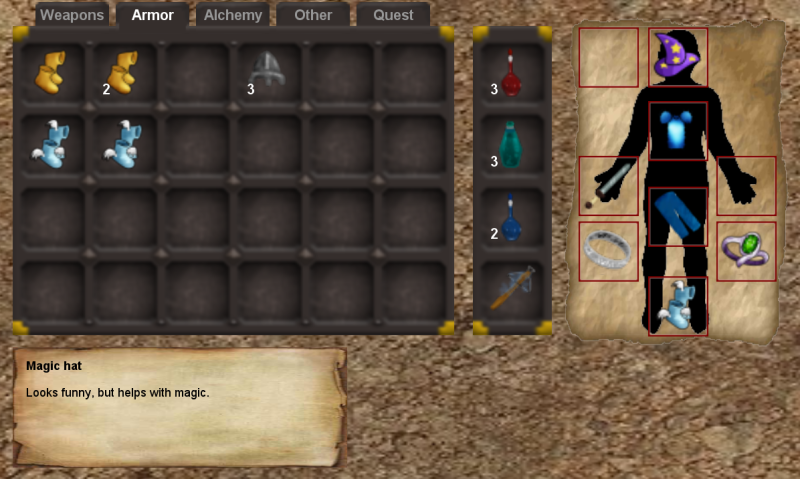 An overly complex GUI makes the game drag. Nice work are you using different images for different screen resolution? No. 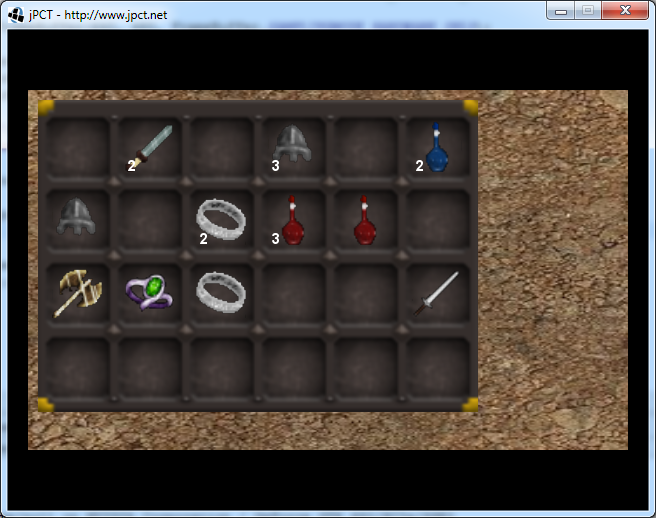 The gui scales with the screen height and that includes the images for the items. At 800*480, they are already scaled up a little as each item is 32*32 pixels in size and covers a ~50*50 rectangle on screen. Tried the GUI on the actual Android device...apart from some bugs in the scaling code, it worked fine but it was unusable, at least on the phone (it worked ok on the tablet). 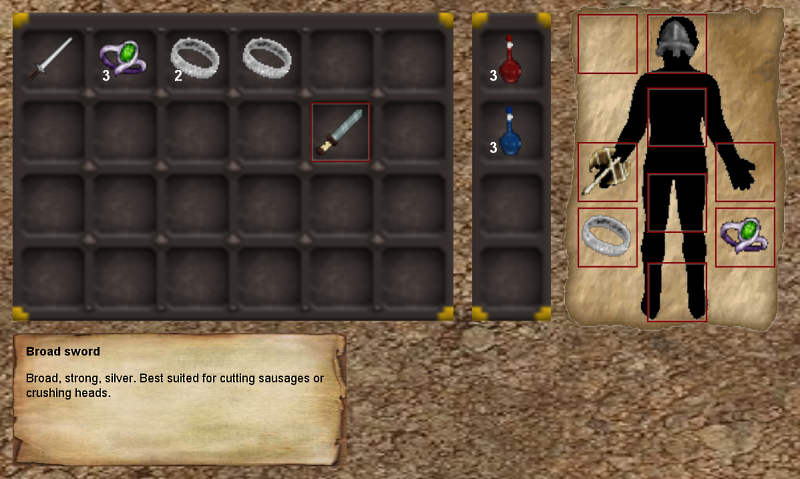 Tabs were to small, font was too small and dragging required some luck...so i reworked it by enlarging the tabs and the font and making the items larger while dragging...works much better now, but still not perfect. I think it looks better with the redesign. Making the items larger during drag was a good idea.